Tobin, P., & Coover, C. (2013). Bandette, Volume 1: Presto! Milwaukie, Oregon: Dark Horse Comics. Personal reaction to the book: A fun option to the dark violence and manga subgenres that dominate so much of the graphic novel scene. 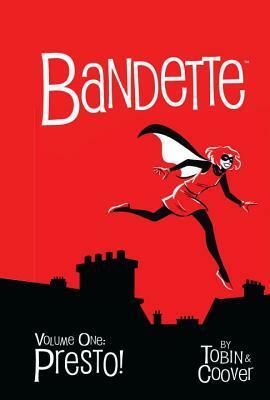 Bandette is a very French protagonist (think Amelie, from the movie of the same name). She is pert, sassy and indomitable: A great heroine for girls to follow. Unlike most costumed female heroines, she wears actual clothing. I would recommend the book for younger readers; the publisher recommends 15+ due to some smoking and a background sexual situation. Author facts: Tobin & Coover are a husband-and-wife team. He is the writer and she is the illustrator. They live in Portland, Oregon.